A fresh controversy has arisen over the Right to Information appeal filed by the Pilots Guild before the Right to Information Commission due to SriLankan Airlines suddenly arguing that it is not subjected to the RTI Act at all. Reliable sources at the Guild informed Colombo Telegraph that SriLankan Airlines had retained lawyers who had appeared before the Commission to say that it is not a company incorporated under the 2007 Companies Act but a company which had been incorporated earlier under old company laws and only ‘re-registered’ under the 2007 Act. As such, it had said that it is not covered by the RTI Act which only applies to companies incorporated under the 2007 Companies Act. The Guild has strongly objected to that argument. It is reported that the RTI Commission too had been taken aback when this point had been raised with the Commission observing that it was concerning for SriLankan Airlines to take up this position after complying with the Act and appointing an Information Officer and a Designated Officer. According to information received by Colombo Telegraph, the Commission had indicated that it was not prepared to accept this argument and reserved Order to be delivered later this month. 5. All information related to and/or connected to the termination of the Agreement and/or arrangement between PIA and SriLankan Airlines Limited 6. All information related to and/or connected to the cancellation of the order of Airbus A350 Aircraft (including but not limited to all Agreements and/or correspondence related to ordering of Airbus A350 Aircraft and the cancellation thereof) 7. 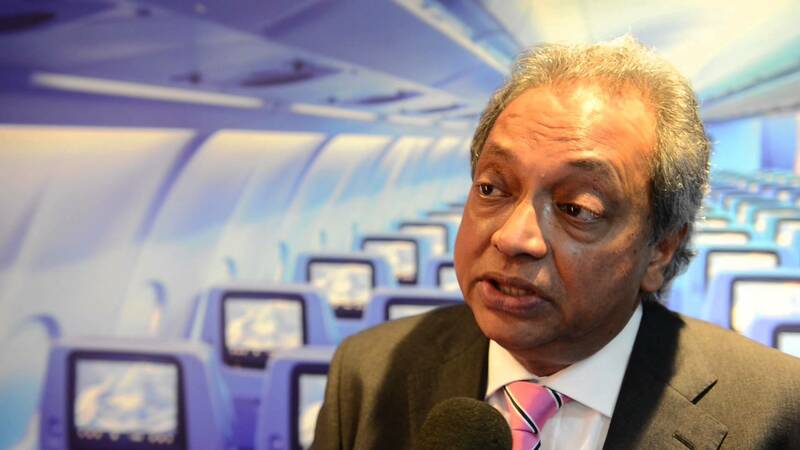 All information related to and/or connected to the cost of personal flying training for the A320 jet conversion borne by SriLankan Airlines Limited and/or any party for the CEO Mr. Suren Ratwatte. The Guild resorted to the RTI Act in the background of major public controversy over huge payments and a variety of perks being awarded to top management of SriLankan despite running the airlines to the ground in the past three years. This was a continuation of the same wasteful practices under the Rajapaksa Government. President Maithripla Sirisena has now appointed a Commission of Inquiry headed by retired Supreme Court judge Anil Gunaratne to inquire into malpractices at both SriLankan and the now non-existent MhinAir. Get back all money from MR family and invest them on Sri Lanka airline. They destroyed it ..
You now build it . This is the case since independence. Prove your allegation about MR. He didn’t steal and he is not responsible for the actions of his family members. He has learnt his lesson and I am sure, if an opportunity is granted he will not repeat the same mistakes though I have doubts about him having another chance to prove it, unless of course ….. ok …. too early to say that. You want proof? There was a discussion in parliament around 2006 or 2007 about shares ofAsian Cotton Mills traded by Namal Rajapaksa. At the time he was just out of school and could not possibly buy such a large amount of shares. The Rajapaksas still have investments in the company. This is just a small example. Shareholdings on the CSE are public documents and cannot be concealed. I don’t care about Mahinda’s roti boys. MR’s sons and siblings are not of his caliber. I have no regard for them. My challenge was to prove the allegation against MR.
Two schoolboys cannot buy zillions in shares. IT WAS DONE WITH MR’s MONEY!!!!! Even you should be able to get it now. MR allowed all his minions and family members to rob and he benefitted. Thus he was clever. The “Helping Hambantota” funds went into his private account and former CJ regretted not finding him guilty. Who took over Sri Lankan Airlines from Emirates when it was run with a huge profit ? Who appointed his brother-in-law to run it ? Now you want MR back to ruin the country ? Lankan 7 – His mongol son, a synthetic “lowyer” destroyed most of the “flying angels” during Medamulana Meeharaka’s rule ! WE don’t need an airline, and that’s final. Why should we, the public, subsidize a vanity project for politicians when most of us don’t fly anywhere? Why pay exorbitant salaries to cabin crews, management and pilots? Simply shut it down, build a solid bridge to India, and organize a luxury bus service. We can fly to anywhere we want from even Madurai.Keep the airport for the tourists to fly here. Srilankan Laws are written on sand. No big deal mates. All depend on whose who. Before the elelction it was told, that Sri lankan employees are holdiong to the documents which may go missing until the PResidential commission is appointed. But, the things are different. that i why PResident is suspected in every scndle. foer example, One Prominenent Yahapalana minister from North Central province who leased Sabitha’s building is said to holding to RS 3. billion in his pocket. the answerr is why democracy doe snot work for us. He says, He does not say that Ranil is not involved in it. C’mon CT Team, what about OMP? I thought you would publish a news item about the bias appointment of Commissioners. I need to voice my opinion about the prejudice in those appointments. Ceylon Telegraph is “Sri Lanka’s Shadow Parliament” where a variety of comments carrying opinions of every community, every political party, every individual is published without any bias. This is world’s one and only “Virtual Parliament”. Great work, CT.
Oooooooop, again for not reading before posting. My apologies CT. – Colombo Telegraph, not Ceylon Telegraph. COLOMBO TELEGRAPH is “Sri Lanka’s Shadow Parliament.” Great work CT. You should receive an Award one day (presumably when Sri Lanka’s new leader is elected in 2019/2020. :D. I also don’t know, who, but I a have feeling that the opinions expressed in CT will play a big role in that.) I wish more people to post comments in CT’s Sinhalese forum, too. It is inexplicable as to why remuneration of employees of any state corporation or enterprise should be kept secret. Do they not pay income tax too. The airline is a loosing enterprise only serving to prop up false prestige of the regime. There were newspaper reports that SriLankan Airlines CEO has resigned and that the Board of Directors have resigned too. Will someone confirm or deny this news please? Sri lankan air lines was was supposed to be corrected right after the elelction. Now it is forgotten just the way Bank robbery is forgotten. There is another problem some where else. SLBA has two JIMBAs. One is from Belikumbura. The other, who is the political authority appointed by Ranil is Harshana buddhi PAthirana. Professor Mohottala. HE hs to certify everything even to play the NAmo NAmo MAtha. Sinhala Serice is earning Rs 1000 per minite from thiose who listen to a monks explainning dhaama. . YEt Mahagedara is trying to shift every thing to near by UDAHA GEDARA. Anyway, Looks like sinhala service is bankrupt. SLBC is working in support of HINDIANBC too. They say they are paying money to Sri lanka. MArketing people say that. But, SLBC is not getting that money. Anyway, eventhough books looks good SLBC has a Cash flow problem. HindianBC , strange enough, we also have a similar problem. But, they do not charge Rs 1000 per minite for similar programs. On the otherhand, they charge Rs 10,000 per min for some other programs. During the recent Ministry swap, Every ministry had asked for that can provide employment to their supporters. SL Air lines management also says we can not make this profitable becuse there are over supply of PRathibha poorana employees. Remember, just before the election, charitha Rathwaththa said that the appointment of Ajith Dias chairman was wrong decision taking. The other business guy from that Store, Jayawardane, he says he is a Captain too, but he does not have a License to take a plain off the ground. 7000 odd employees are to many. Ari line stays the same place and see Dubai Very small islnd has a successful airline, they leased Sri lankan ir lienes from which they had only 40% and made it profitable. Singapore Air lines, is a city state has a larger air line than ours. chrarith aRathwaththa brother gets three times the renumeration that a Pilot gets. I heard he is the one doe snot allow the air line to be profittable. He says he did not come here to angili levakanna, not a millionaire but a billiomaire. Jimba Sri lankan air lines say his Whole Varga Paramparawa is working for the iur lines. Similary, thilanga Sumathipala is saying his warga paramparawa say Amathithuma asked us to work for the Cricket board. they are not shy to say it. That is the situation in every ministry and every govt institution. Som think about how profittable those can be. and ahow one bank robbery can bankrupt the country. I heard, three banks are bankrupt and they simply do not have money. HEad of the game ays, I know what is going on I will correct it. IT looks his has been given the termination note. With respect to SLBC. one Nimal tilakasiri says, Yatath pirisein (both say that), there is no one to do edirivadu comes here but the other do not allow me to work. Thank you CT. I was waiting for that to see whether your crappy Publishing policy disturb me. . SLBC employees say, that is not the truth. both of them are involved in plundering the SLBC. Jimba’s explanation is even during the King Parakumba’s time we ran communication channels. It’s leader are useless people..
All of them.are.corrupt except JVP..
With good human and natural resources we do not know how to build up this nation in the time of rapid development of many economies in Arian nations. .
SriLankan has made more losses in the last three years compared to the same period prior to to 2015. Ajith Dias and the other coherent robber directors as appointed by Ravi K during the 100 day reformation period have continued till now, and incurred colossal losses to SriLankan airlines, which as a PLC, Sri Lankan would be difficult to get out of, given the fierce competition in the international travel industry. As is customary with the present government, and specifically under the Ministry of National Policies and Economic Affairs, Rail W has been running an agenda of his own imagination, which as we all know by now, is alien to what the majority of Sri Lankans perceive. Thus arises the biggest question? is the UNP as a party ready to come to reality with the ground dynamics, or Are they to continue living in a world of fantasy? The actions thus far indicates that the UNP is still “comfortable”living in the world of fantasy , except for a few brave “rebels”as they they may be labeled as. Well alas, the end is near , any nobody seems to notice that the end is near. Reading the comments you realise that everyone here has an agenda. Isn’t the topic about if the Airline comes under RTI or not.? Any article writer on the airline and what ever the topic, the comments are on the same lines of fulfilling ones agenda. nuts man all nuts. What a small hole you must live in. They have leased new aircraft at above market rates on 12 year leases apparently without a termination clause in the contract. This means they have to pay – no way out. The above means that is impossible for the Airline to ever make money. There are still more aircraft on the way including an order for 4 A350 – the papers say that they need to pay the balance of U$800 million for these aircraft. Again it appears this contract has no termination clause. They have to pay – no way out. It is not a case of replacing a few people and cutting wages and everything will turn around. The hole that has been dug is so deep there is no way out. Several banks are insolvent as a result of lending money to the Airline. The IMF will force the GOSL to close this Airline in the coming months.